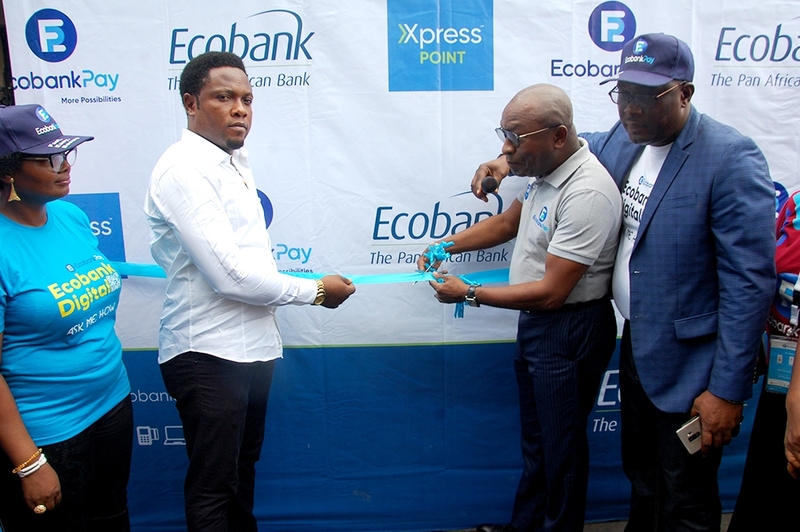 Leading continental banking group, Ecobank Nigeria has continued in its nationwide flag off in activation of EcobankPay platform for trading groups. In a recent outing, traders at the popular Ladipo Spare Parts Market in Lagos commended the versatility of the platform, saying it enables easy and instant payments from their customers. Some of the traders who were part of an event to launch the EcobankPay Zone at the market testified that the EcobankPay initiative is timely and revolutionary in supporting small businesses. Earlier in his address, the Managing Director, Ecobank Nigeria, Patrick Akinwuntan said the EcobankPay zone was initiated to facilitate easy, secure and convenient transactions for merchants within the markets. The EcobankPay Zone, he reiterated is a digital payment hub enabling businesses within a location adopt Ecobank’s wide range of digital products for ease of payments for goods and services. According to him, “Our digital offering will be an opportunity for both buyers and sellers to increase their sales in an enhanced and secured way and without fear. The EcobankPay digital hub makes it easy for the seller to be paid instantly and buyers pay with ease and also have rest of mind associated with doing business without carrying cash around. Also available is the Xpresspoint which allows customers do their banking transactions within their neighbourhood and non-customer open accounts on the go in as much as they have their phones. “The initiative of the Ecobankpay zone is to deepen financial inclusion in the communities and specifically aid business transactions between merchants and clients. EcobankPay’s unique offering is that anyone from any bank in Nigeria can pay with MasterPass, mVISA and mCASH with any phone by scanning QR code or using USSD. “If the person that wishes to buy goods from you is coming from a bank that has mVisa and wishes to pay, the same QRcode would accept an mVisa payment and vice versa. That creates synergy between us and the other banks and convenience for the merchants. And as you know, the QRcode is much cheaper than having a point of sale (PoS)”. Mr Akinwuntan who was represented by Group Head, SME, Ecobank Transnational Incorporated (ETI), Patrick Egounlety said the EcobankPay Zone is an Ecobank strategy to take financial inclusion to various market clusters across the country to facilitate easy, secure and convenient transactions in the market place. So far, the EcobankPay Zone has been launched in Alaba International Market, Saka Tinubu GSM Plaza, Popular Oluwole- Lagos Island Market, Relief Market, Onitsha, Ariaria Market in Aba, and several others around the country.